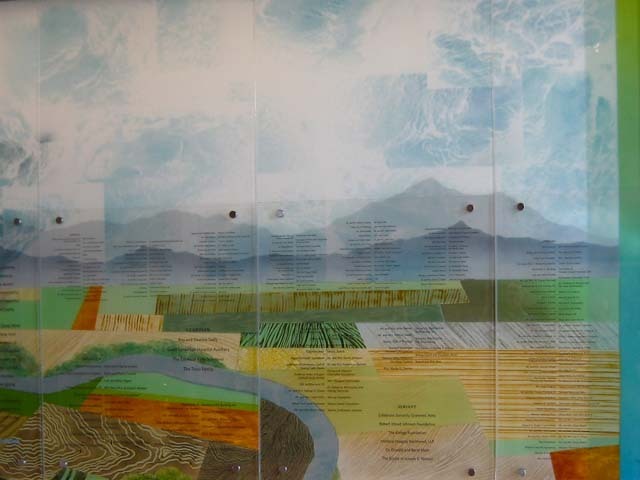 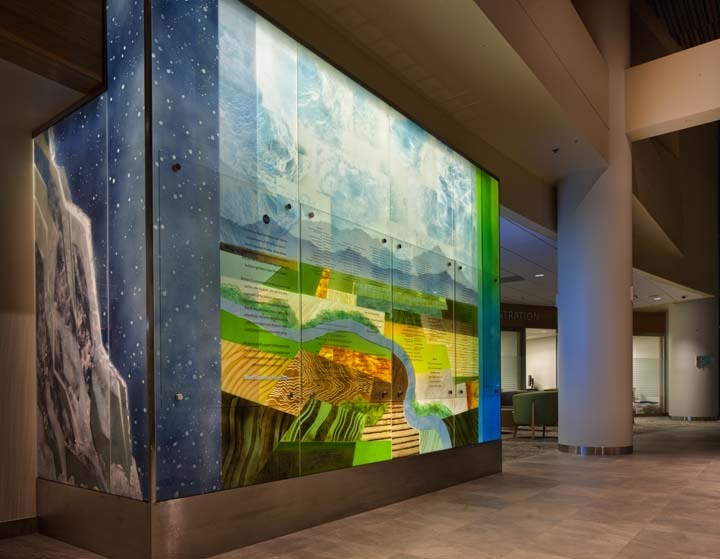 Four layers of fused and laminated glass were used to create depth in the pastoral imagery of farmland, mountain and sky. 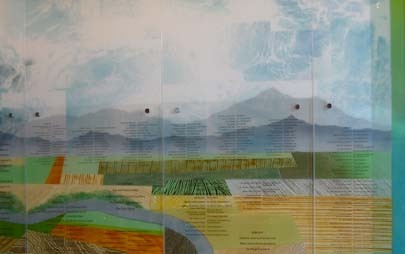 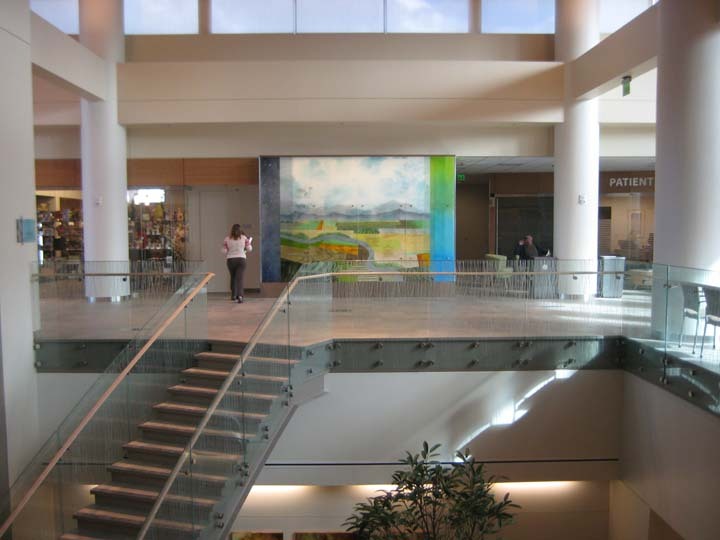 Like our first project with Hirsch, her focus is on place and the calming influence it has in the hospital setting. 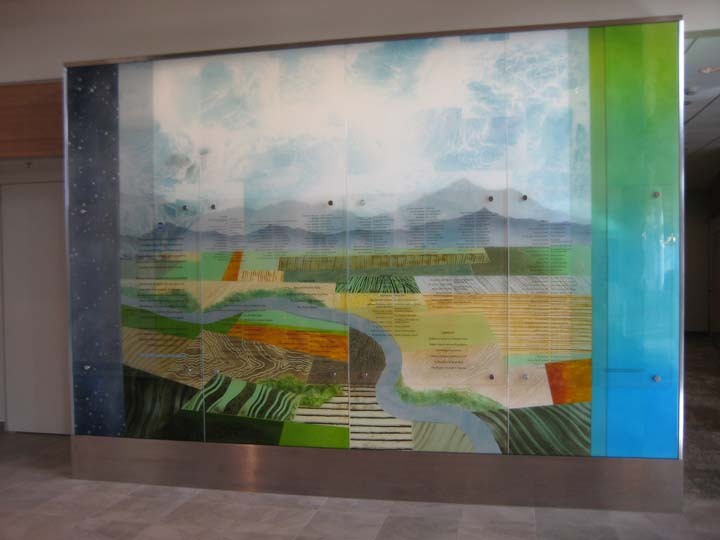 The composite includes four wall surfaces and a foreground glass curtain for silkscreened names.